Stumbled upon a neat (well, I think it’s neat) blog post courtesy of my friend, journalist and educator Walter Ang. I don’t know but I think this is a welcome development for the genre we all hanker after yet but a handful respect as serious literature. Kudos to the University of the Philippines College of Arts and Letters, Department of English and Comparative Literature for offering this special topic. 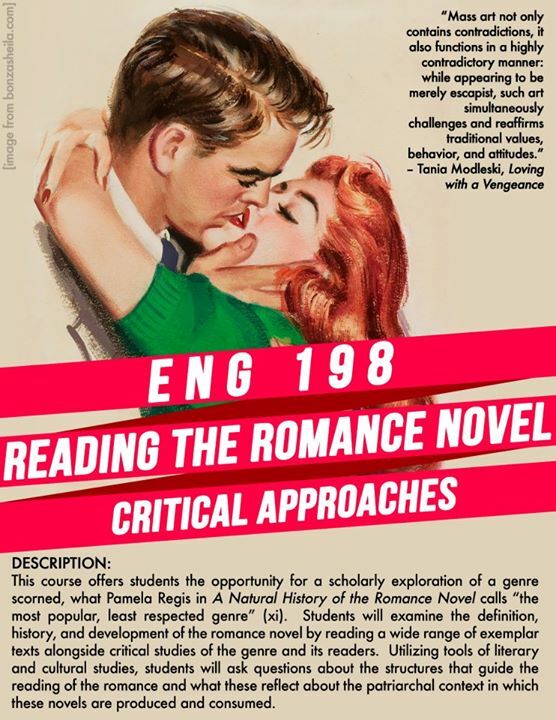 And plus, I think now, there will be a better basis / criteria for analysis for many Filipino / English / Literature / Humanities teachers when they require their students to do book reports on romance pocketbooks other than the book being affordable (My Special Valentine Tagalog Romance Pocketbooks are just P32 for the regular length pages, P65 for the Premium edition) and easily accessible.